Experience real horsepower at Big Thunder! Each of the hitches seen at the show train year-round to compete and display the raw power the magnificent horses posses right there in Loveland, CO. Many of these hitches have traveled from across the country to compete at Big Thunder. We invite you to visit the barns either before or after each performance to meet the crew and their gentle giants! 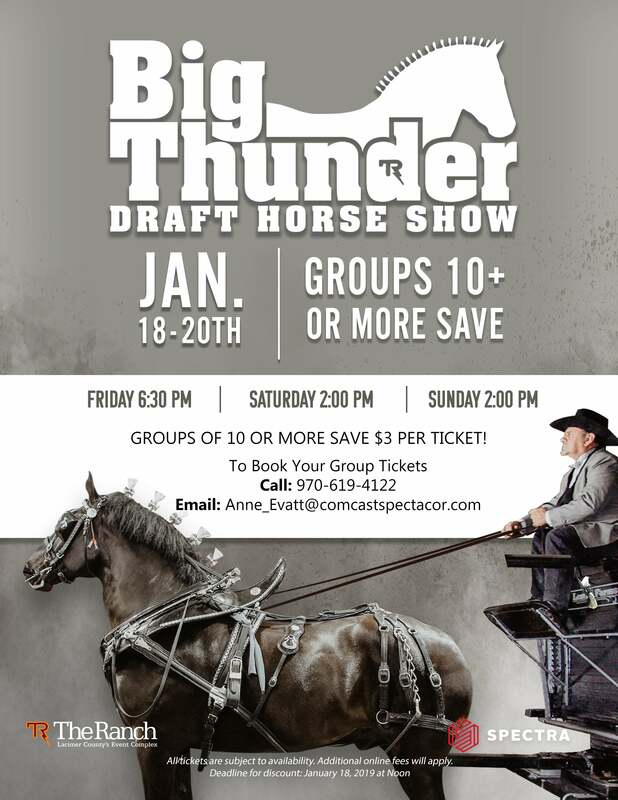 Groups of 10 or more can save on tickets to Big Thunder Draft Horse Show!